October/2018: Updated fitting of ETS models to use NumPy array to fixes issues with multiplicative trend/seasonality (thanks Amit Amola). What is surprising is that a model that assumed an multiplicative trend performed better than one that didn’t. =>sorry,dear.my nam… Jon. Living now “Bangladesh” proffsanally me 15yeasr my life supot my brothers business said, mobilephone service and seal said,so technology said allows real us so good,bat i am not Happy because i no job, only miss us moneys, so one qus??? =>god son for you,any good said us me,and my barind,?give me you my life. Thanks a lot , very interesting article !!! So I tried this above code, but one interesting issue that’s occurring is that it is not performing the ETS on whenever there is multiplicative trend or seasonality. If you see your results as well, you’ll notice this thing. Now with a 0 value in the TS data, this analogy makes sense, but even your dataset cases, there is no 0 value as such. So why is it happening and can you just check if that's what happening in your case as well. Moreover, I converted my time series data into just an array of values and this worked. But the same thing you have done but it still doesn't give any multiplicative results in your code that you've created. Can you take a look. You’re right. I have updated the usage of the ExponentialSmoothing to take a numpy array instead of a list. This results in correct usage of ‘mul’ for trend and seasonality. I have updated the code in all examples. Thanks! Yes, unfortunately the codes no longer work. I copied this exact example on the same csv file, and the code does not run. The example in the tutorial does work, but assumes all of your libraries are up to date and that you’re using Python 3.5+. Perhaps try running over night? Perhaps try running on a larger machine (ec2 instance)? Perhaps try running on less data? Perhaps try searching/posting on stackoverflow? Very, very well done Jason. I am impressed by your concise code and smart implementation of parallel processing. I do have a comment and a request that might be useful to others that look at these well-done case studies. 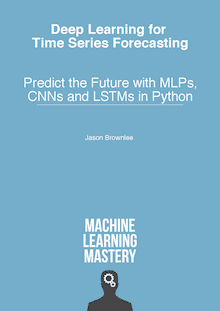 Second, could you expand on “multi-step predictions”. More specifically, show code that could be used to actually do this and to perform “multi-step predictions” beyond the data that you actually have. Otherwise, an exception is thrown, and the code will not execute. The predict() function can take the range of dates or indexes you require to make a multi-step prediction.